Every guy should own a cast iron skillet. They are practically indestructible, easy to care for and the one tool for seriously good food. Nothing will make you feel more alive than cooking your meats over an extremely hot plane of iron. Use it for baking pizza or cornbread too. 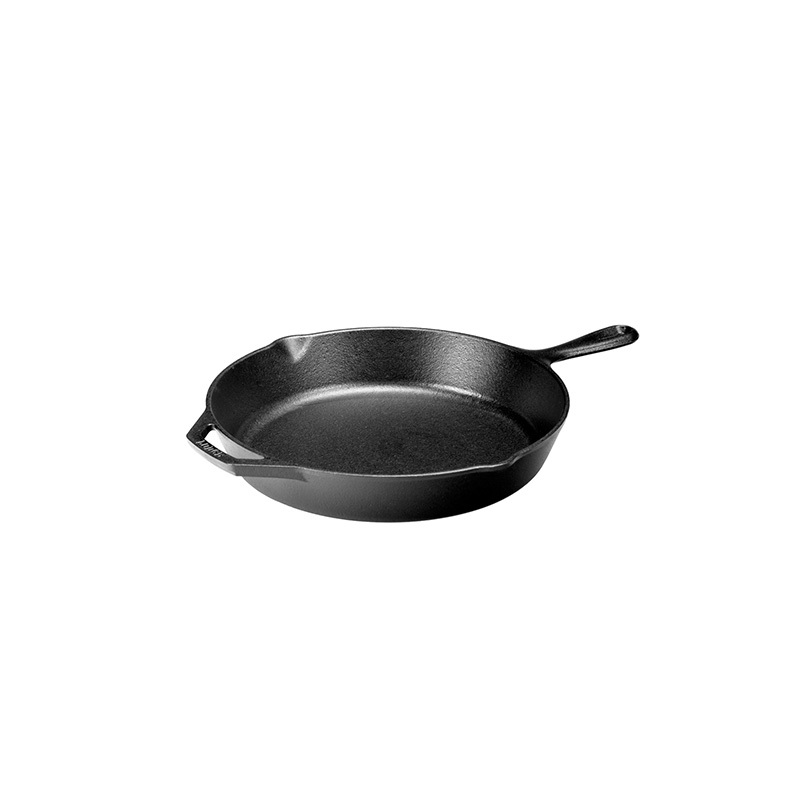 The Lodge Cast Iron Skillet is the perfect entryway to making it in the kitchen. You need this if you’re a fan of freshly grated parmesan or citrus zest. But the Microplane is equally useful for grating cloves of garlic (it works better than a garlic press), chilli for evenly distributed heat and fresh ginger. Everyone’s been into sous vide lately, and we can’t recommend a better one than this. Controlled by a Bluetooth app on your phone, all you need is to submerge it into a water bath. What it does is heat the water to a specific temperature, hold it there and subject your food to well, perfection. Your meats, fish or eggs will never be overcooked again. The airfryer sounds like a sham, “frying” stuff without actually deep-frying. But the great thing about any airfryer, is that it is so capable of producing crispy food with little to no oil at all. Up to 80 per cent less fat is needed, but some people actually can’t tell the difference. How does it do it? For one, air is superheated to about 200 degrees in a small, contained area. This hastens the cooking process, and your fries, carrots or what not is cooked to a crisp, keeping the insides tender. For the times when you’re bleary-eyed and instant coffee just won’t cut it, a proper coffee maker is what you need, even if it means grinding your beans, weighing them and worse of all, cleaning up. It still beats handing over that $5 bill to the barista. The Bodum ePEBO creates cups of hot, black coffee using the vacuum brewing process called the “siphon” method. Simply pour water into the bottom section and then ground coffee into the upper. Switch it on and once the water reaches an optimum of 94 degrees, it will rise to the top, mix with the beans for four minutes, and run down the filter. You’ll have a solid cup of coffee in no time. A solid chef’s knife is what you need to make life in the kitchen easier. Mac Mighty is a well-made workhorse, perfect for the amateur home cook. Long enough to slice most things and fine enough for delicate work. Chopping boards are the foundation of every good home-cooked meal, and they should be pretty as they are functional. Joseph Joseph’s colour-coded set is a simple solution to cutting down on cross-contamination (especially between raw vegetables and meats), and all the boards are made with non-slip feet and sloped edges to prevent juices from running astray. If the only fruits that you normally juice are lemons, limes and oranges, screw the posh gadgets and purchase a wooden reamer. All you need is to jam it right into the fruit and twist. Better than a fork and works just as well as a muddler if you’re making cocktails. Most chefs swear by the KitchenAid. Usually because it’s handsome, tough and lasts more than a lifetime. Plus, you can fit it with all sorts of useful supplements like a meat grinder, ice cream and pasta maker.